PJ Lavery has become the fifth player to walk away from the Tyrone squad in the wake of relegation to Division Two. The 25-year-old has decided to quit the Red Hands just days after Dwayne Quinn, Paddy McNeice, Shay McGuigan and Emmet McKenna withdrew from the panel. The four said they had been frustrated at not being given enough game time but half-forward Lavery was regarded as an integral part of the senior set-up. He started one league game in 2015 for Tyrone and was a sub in the other six. His decision to leave will be a setback to the county management. 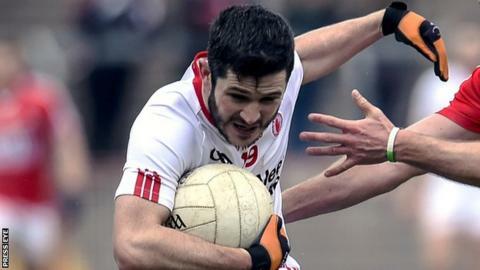 Tyrone play Donegal in the Ulster Football Championship at Ballybofey on 17.